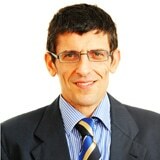 Dr Karl Grech Orr is a Partner in the Shipping Department at GANADO Advocates, and has assisted in a multitude of Shipping transactions and regularly advises on all aspects of Shipping and Corporate matters. Karl acts for ship-owners and financial institutions with particular focus on Malta Flag issues and related, ship and yacht registrations, ship mortgage and related security registration, maritime and corporate law issues generally. Karl has been heavily involved in the drafting of the Merchant Shipping (Shipping Organisation – Private Companies) regulations and has lectured on Shipping and Corporate areas. Karl is also a Member of the Malta Maritime Law Association.